Are smoothies good for you? They do deliver fruit and vegetable nutrients, but at what cost? Mmmm, smoothies—they’re so quick, delicious, and healthy. Unless you’ve been living in a remote jungle village, you’ll have noticed the fast rise of this beloved drink. Smoothies grace the menus of restaurants, juice bars, and fast food chains around the world. You’ll even find premade versions on grocery store shelves. They’ve been touted as nutritional superstars for at least a decade; drinking them can provide us with essential nutrients found in fruits and veggies—foods many of us skimp on. Smoothies are quick to prepare and easy to transport, making them the perfect on-the-go snack. Plus, they’re delicious. But are smoothies good for you? Upon closer examination, smoothies feature a few elements that should make us wary—namely, calories, carbohydrates, and sugar. Diving In: Are Smoothies Healthy? So, are smoothies good for you? Yes and no. Smoothies offer an easy way to get valuable nutrients (e.g., vitamins B12, C, and D) that we may otherwise lack. “When they contain a balance of carbohydrate, protein, and beneficial fats from whole-food sources, smoothies can be tasty, convenient, and healthy,” says Amy Gannon, a Registered Dietitian (RD) and Licensed Dietitian (LD) at Cleveland Clinic. That said, smoothies often contain a plethora of high-fat and high-sugar options (e.g., peanut butter, ice cream, added sugars, and fruit juices) that don’t balance out the carbohydrates from the sweets, says Gannon. What you once deemed a nutritious victory may be helping you pack on the pounds and up your risk for diabetes. Not convinced? A 20-ounce concoction called The Hulk-Strawberry at Smoothie King provides a whopping 910 calories, 27 grams of fat, 13 grams of saturated fat and 127g of sugar. In case you’ve forgotten, our recommended daily intake of sugar is 25g for women and 36g for men. This one drink contains almost five times that. And this is the small size! If you can’t resist smoothies, use common sense: Drink it with a straw to protect your teeth. A study in the journal European Archives of Paediatric Dentistry found certain smoothies to be more damaging to tooth enamel than Diet Coke. In a comparison of a mango/passion fruit smoothie, strawberry/banana smoothie and Diet Coke, researchers found the mango/passion fruit drink caused the largest amount of tooth surface loss. Diet Coke was the next-biggest culprit, followed by the strawberry/banana smoothie. Drink your smoothie through a straw to avoid contact with your teeth. When you’ve finished, rinse your mouth with water or, better yet, brush your teeth. They can, if you’re adding low-fat, low-calorie, low-sugar foods to your blender. Problem is, many of us opt for the largest size when ordering and we tend to say “yes” to unhealthy add-ons. Load your blender with fresh veggies and go easy on the sugary fruits and juices. As with all weight-loss plans, you need to combine your smoothies with a well-balanced, healthy diet and a regular exercise routine for best results. A study by researchers at Purdue University found those who drank beverages in place of eating solid food (drinking watermelon juice instead of eating watermelon, for example) consumed between 12 and 19 percent more calories than they did when they ate the food. The reason: Drinking the beverage left them feeling hungry, perhaps because they didn’t chew their food, which can help the body signal when it’s time to stop eating. Another study published in PLOS found that thicker beverages made people feel less hungry, as did telling them that their “liquid” was not a “drink,” but a “snack.” Once the volunteers thought of their drink as a more substantial snack, they felt more satiated. If you’re opting for a smoothie, add some low-fat yogurt to thicken it. Is It Better to Chew Our Food? Drinking your meal, as we learned above, can leave us hungry and rob us of the satisfaction we feel while chewing our food. Chewing also allows us to truly enjoy the flavors. They stay in your mouth, tickling your taste buds for longer than a smoothie would. Research also proves that chewing crunchy foods can boost your energy (by giving your jaw a workout) and actually can reduce stress. Which Smoothies Are the Worst? While any smoothie that’s high in sugar, fat, or carbs can be harmful to your health, Gannon says the worst culprits are premade. Still want to enjoy a smoothie? 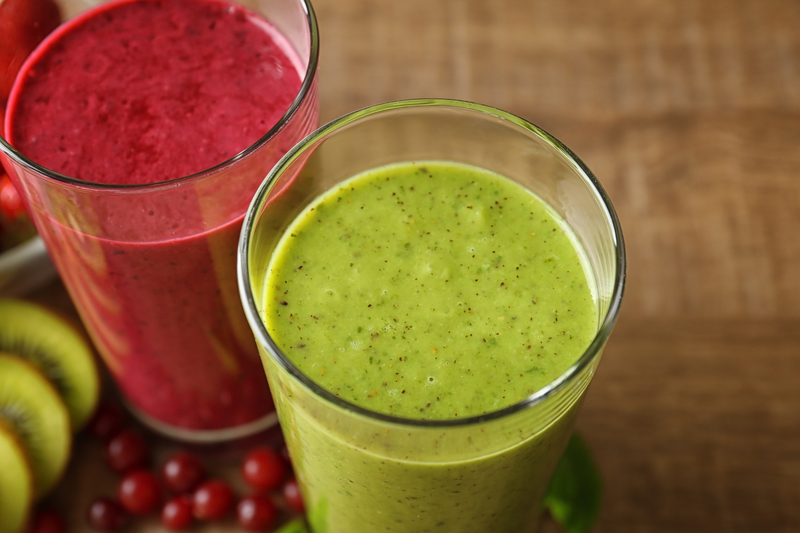 Follow our tips in The Secret to Healthy Smoothies. 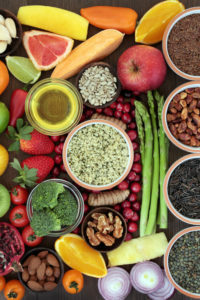 Also, limit your ingredients to include only the amount you’d typically eat in one sitting, suggests Amy Gannon, a Cleveland Clinic RD and LD. 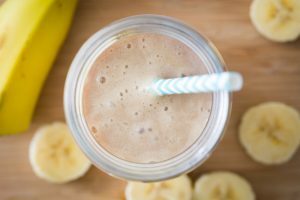 “If you wouldn’t usually have a whole banana, an apple, a cup of yogurt, a few dates, and a big spoonful of nut butter, then it doesn’t fit to have them all at once in a smoothie,” she says. If you’re ordering, choose a child-sized portion to cut back on calories. Also, “ask that your smoothie be prepared without added sugar: The fruit is naturally sweet,” recommends the Centers for Disease Control and Prevention. add, b12, calories, dates, dementia, diabetes, diet, digestion, early signs of dementia, exercise, exercise routine, fast food, food, health, health news, healthy diet, healthy drinks, healthy smoothies, juicing recipes, juicing recipes for energy, Lose Weight, nutrients, nutrition, protein, signs of dementia, smoothie, stress, sugar, university health news, vegetables, vitamins, weight loss plans, whole food, why is sugar bad for you, yogurt.